Ever since I was kid I’ve been fascinated by the big yellow machines used in construction. As kids we’ve all had the earth moving equipment: bulldozers, excavators, dump trucks in our toy collections. Much like most kids here in the states those toys spent many hours in the sandbox building castles, moats, and other fortresses in the sand. Sophomore year in college I knew I didn’t want to be a chemical engineer anymore. I realized I’d spend the rest of my days working in a large chemical plant. That’s not what I wanted to do with my life. Civil engineering and computer science were the next options on my radar. Obviously I went computer science, but the civil engineering vein still runs deep in my system. Construction is a core tenet of civil engineering, something I find cool at the massive scale. 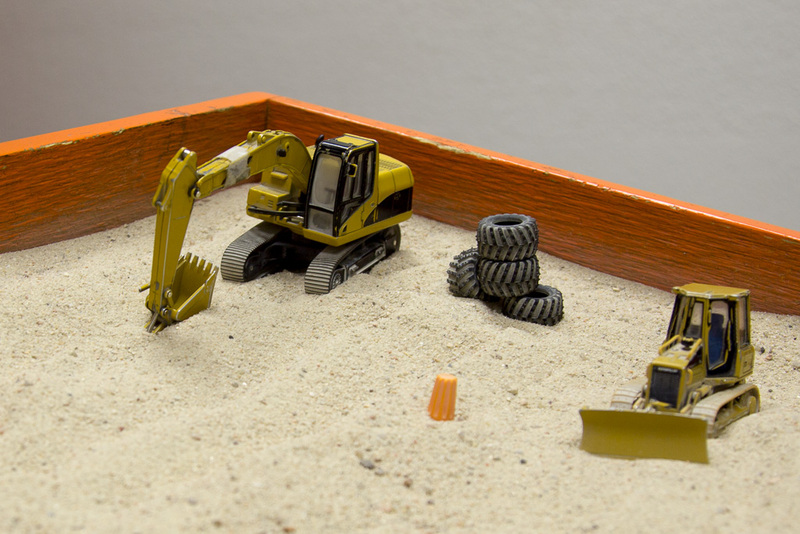 Sandbox equipment used for training. I travel a lot for business and each place I go I try to find something interesting in the local area to help make the most out of the experience. Vegas absolutely had a treat for me! 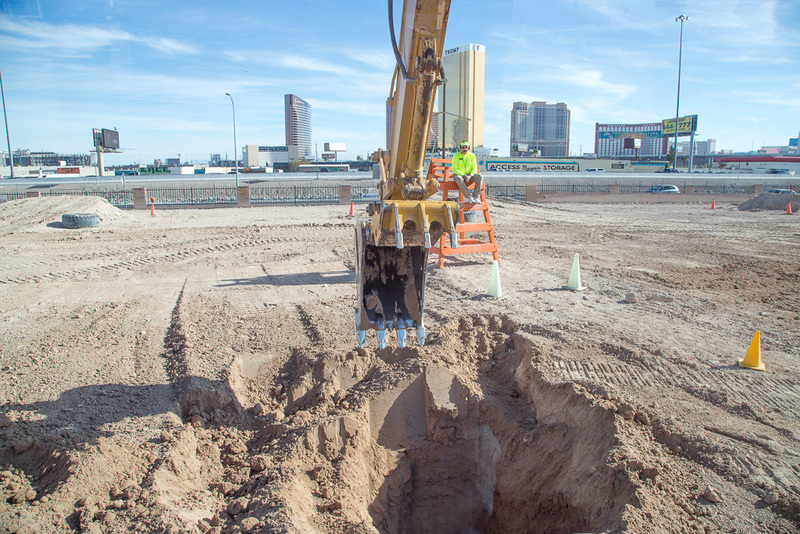 Dig This Vegas is a company that specializes in allowing adults to connect to those childhood dreams of driving the “big yellow machines.” The company has a five-acre lot just outside of the Las Vegas Strip were adults can spend 90 minutes in an earthmoving machine learning to harness its power. 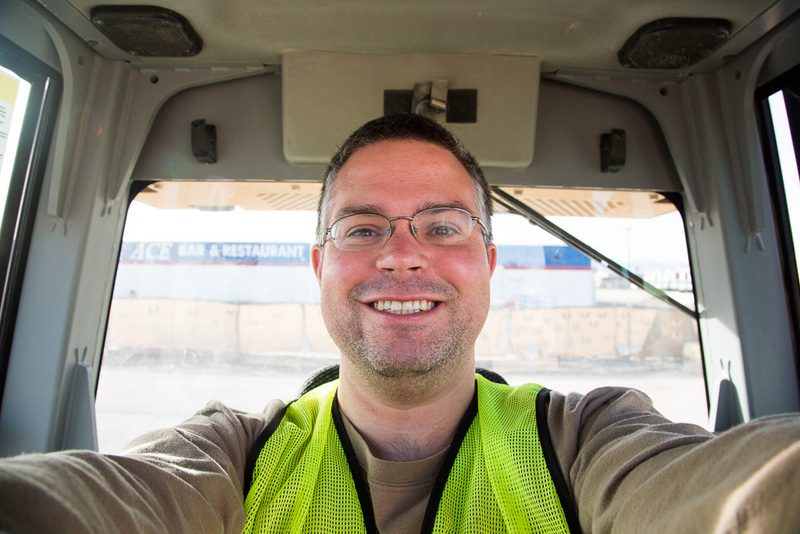 Customers can choose between bulldozers and excavators or, as I did – both. Registration wasn’t cheap at $450 for a three hour tour. Sometimes though, bucket list items are truly – expensive. I arrived about 20 minutes before the shift was about to start to fill out paperwork, pass a breathalyzer test, and complete the registration. I got lucky today. I was the only one in the noon shift and got a full instructor all to myself. Orientation began with a video talking about the company, the founder, and how Dig This Vegas came into fruition. The instructor walked me through all the different controls of the excavator and the bulldozer as well as the exercises we’d be doing out in the field. He reminded me, once I got into the tractor we’d go through all of these instructions all over again. At this point I’m totally getting excited. I wanted to do is for such a long time and now it’s actually happening! I jumped in the cab and stared and wonder at all the different controls at my disposal. 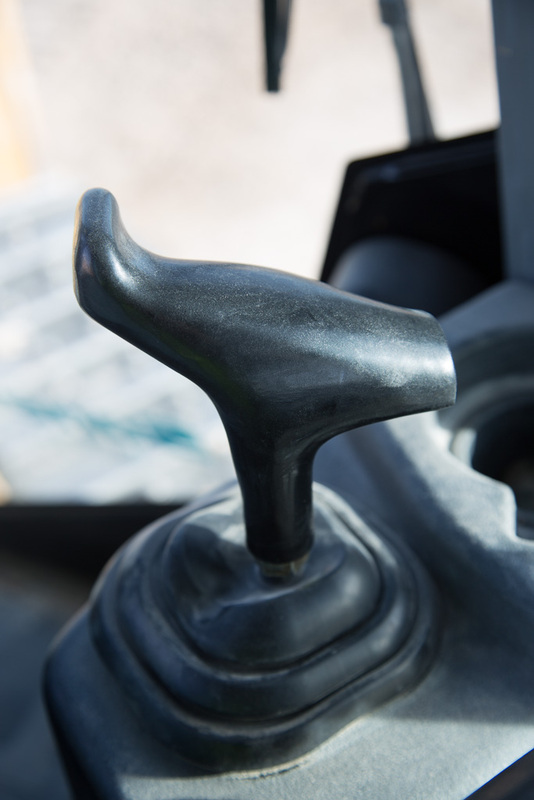 Nothing though, topped the excitement of turning the key and hearing the machine rumbled to life all around me. All had to be done in unison to make the excavator sing! We started slow which was a really good idea. I moved the excavator from the parking space out into the dirt field and began to dig a hole. Digging the hole required most of the functions between the two joysticks. In some ways it was a lot like riding a motorcycle where you had to use multiple motions at once to complete an action. Digging the hole required moving the top arm, the bucket boom, as well as the bucket itself in a coordinated fashion. After about 10 minutes I got the hang of it and dug to be what appeared a 15 foot hole. The next challenge was moving a pyramid of tires from one side of the lot to another. 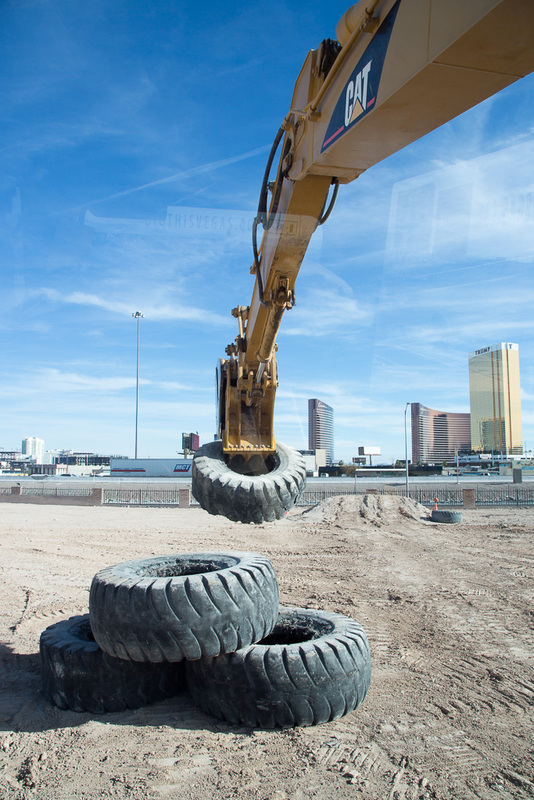 Grabbing the tire with the excavator bucket and thumb was actually pretty easy. To turn the excavator around I just swiveled the machine around. That then meant all of the controls were reversed. Since there is no indicator which way was right side up it quickly became a challenge knowing which control moved the machine each way. 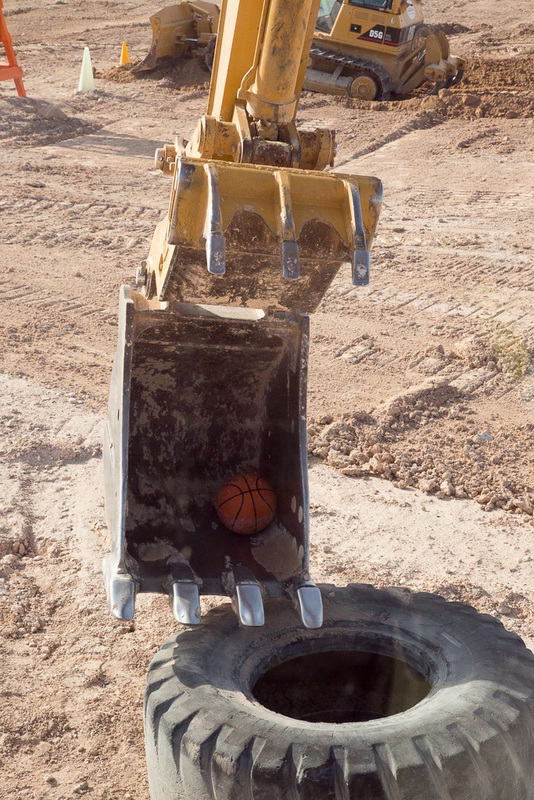 After the tires were done, we moved on to the last exercise: excavator basketball. The instructor had me moved the machine onto a 30° incline and spin machine around like a tilt a whirl. I think they do that one for kicks and get the operators a little dizzy! 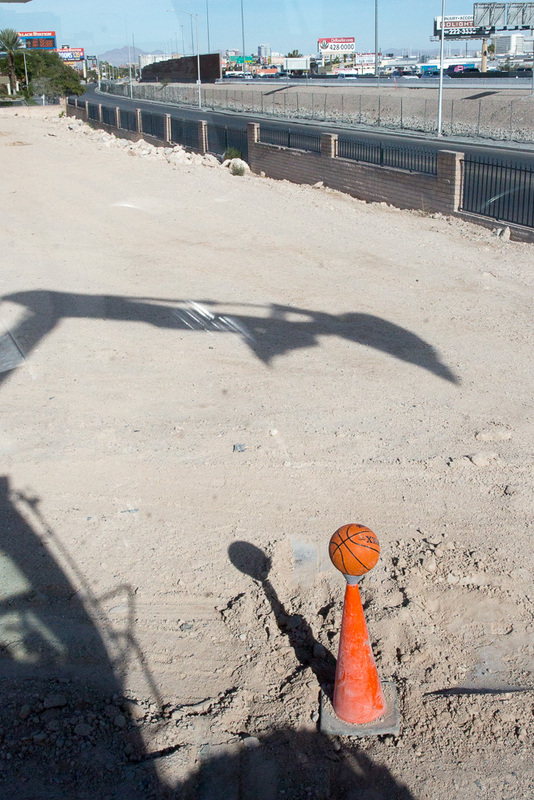 Excavator basketball requires some finesse with the bucket arm. You’ve got to pull the basketball off of the cone, spin around, and then drop it in the tire on the other side. I didn’t see it at first, but the real challenge was adjusting to the 30° incline. I was happy with 5 baskets in the allotted time. I only dropped one! 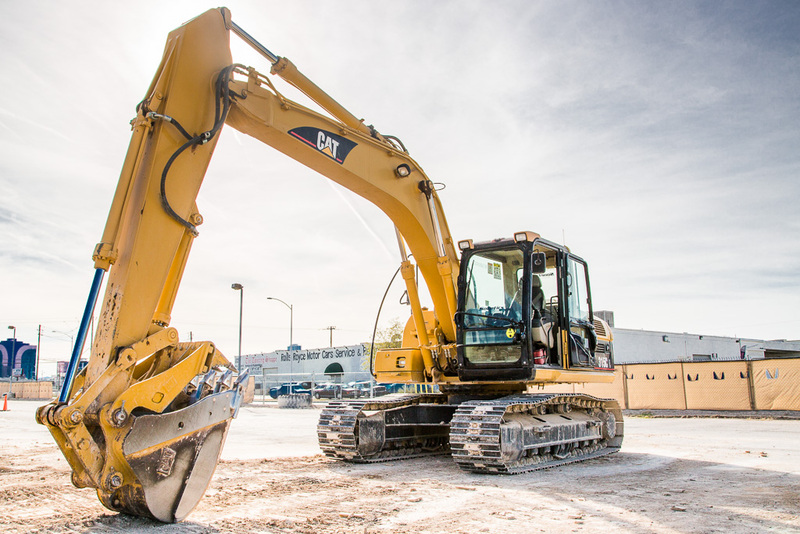 The bulldozer was quite a bit different than the excavator. The bulldozer was a lot smaller it seemed and the equipment was a generation earlier. Fortunately it had an air ride seat which helped smooth out the ride. 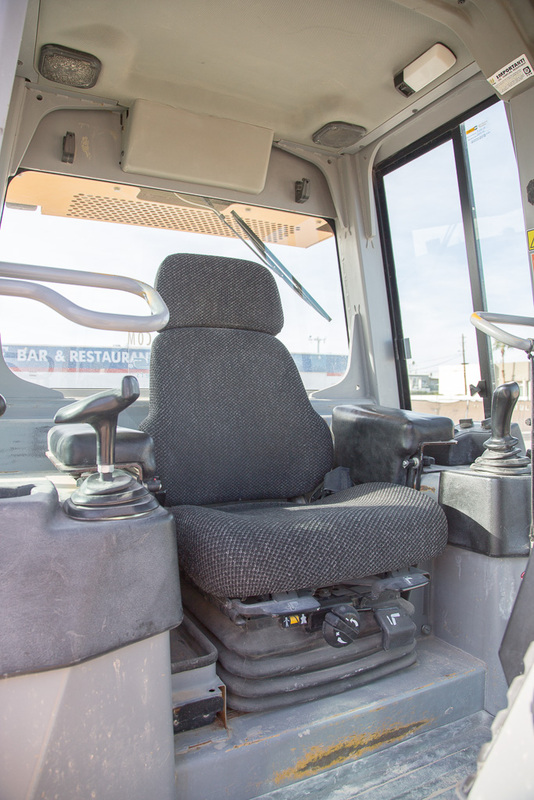 The controls were different and the style of movement was not the same as the excavator. The bulldozer was significantly jumpier then the excavator as the bulldozer was always moving. The thrill was still there turning the starter in hearing the machine roar to life. How did the controls work? There was no accelerator. This was the most bizarre to me. The bulldozer had a throttle, but we left it at full power the whole session and used the decelerator pedal to slow the machine. We never slowed the throttle. I’d think if none of the controls were engaged, the machine would stop. That was not the case. 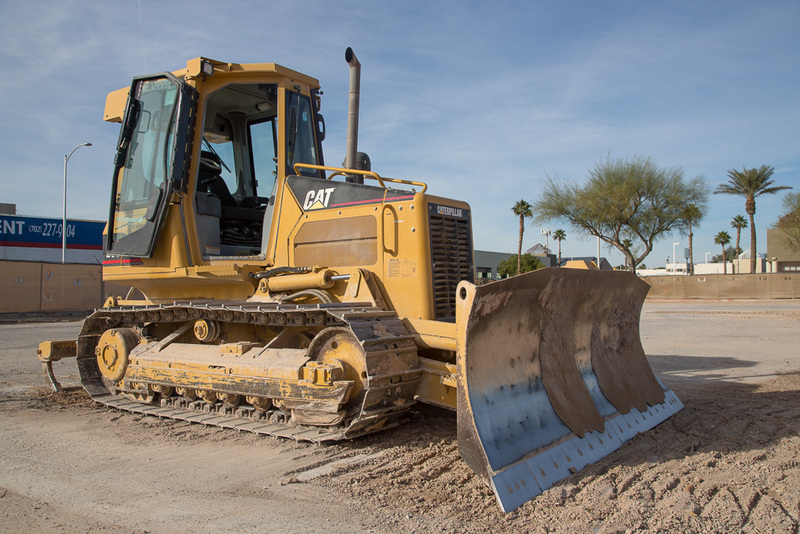 Without pressing the decelerator pedal, the bulldozer would keep moving at full throttle. Keep in mind, the decelerator is not the brake. That was a different pedal we didn’t use the whole day. The first exercise was to build a hill about 5 feet high of dirt. We used the ripper on the back of the machine to score the ground. 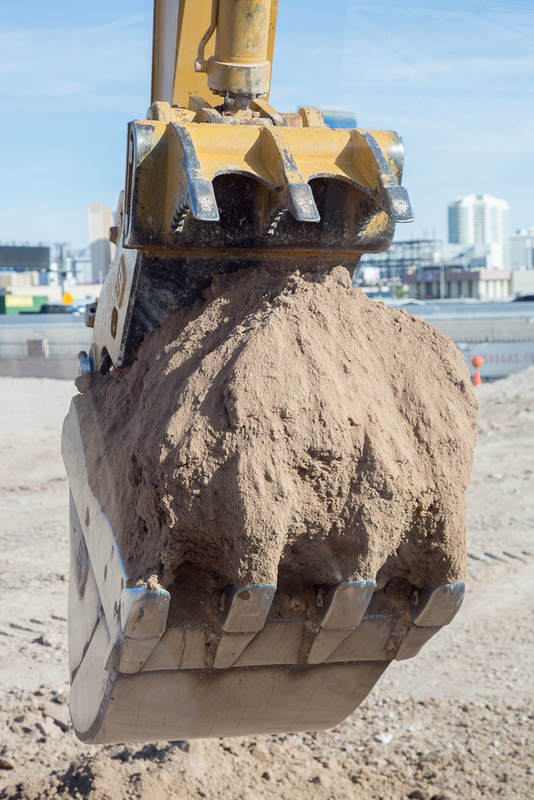 After the dirt was loose, it took a few strokes of the blade to build up a mound of dirt. 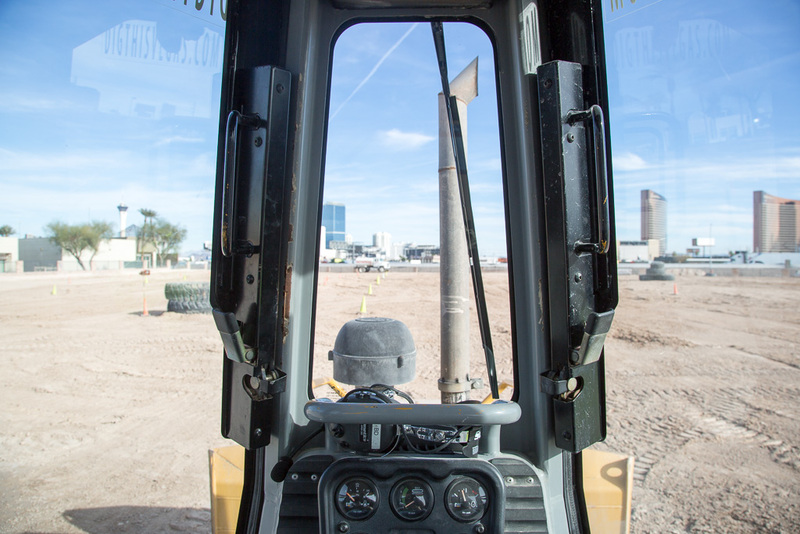 Since the bulldozer has such a narrow front window that’s easy to focus on, it’s important to really use your mirrors and side windows. The front window is pictured below on the right-hand side. The next exercise was the tire push. 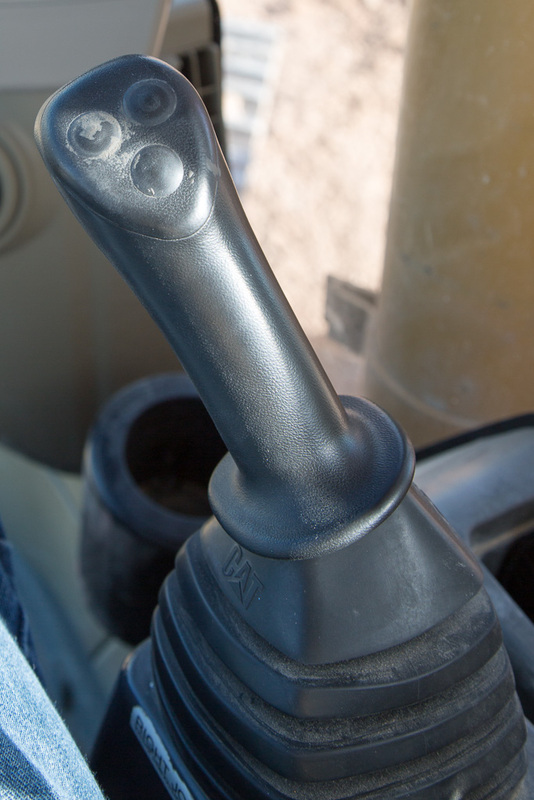 Using the blade, the operator has to push the tires through a set of cones. This was probably the most challenging exercise of the day. The bulldozer was a bull. 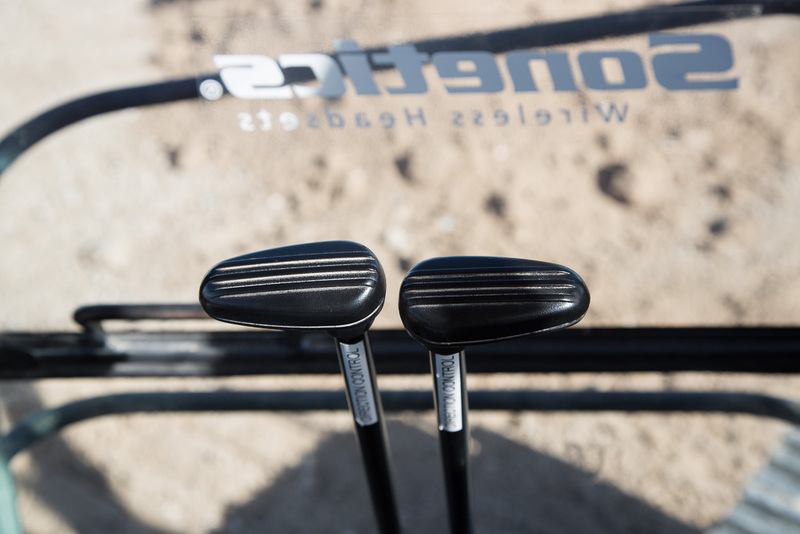 The decelerator pedal was hard to manage in conjunction with the blade control. I lost the tires a few times and to circle back and realign the tires with the bulldozer blade. The last exercise was filling the hole I dug in the first exercise. The instructor warned me this would be the most challenging part of the day. I didn’t agree with him at first, I mean, how hard could it be. I’m just pushing dirt around. During this exercise, the bull in bulldozer really reared its head. The bulldozer bucked quite a bit going over the hill I built in the blade got caught in various areas of the trench. I had the hill leveled out after a few passes with the dozer, but getting the ground smooth was the hardest part. 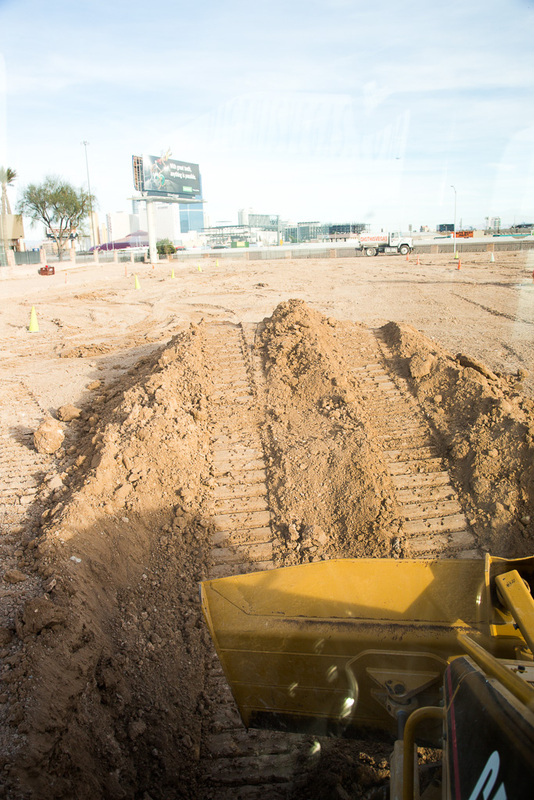 Smoothing out the ground took great finesse with the blade evenly spreading the dirt back across the ground with the bulldozer in reverse. All in all: truly a great afternoon. The whole experience cost me $450 for about 3 1/2 hours of time. 45 minutes of that was instruction, leaving quite a bit of time inside the cab. 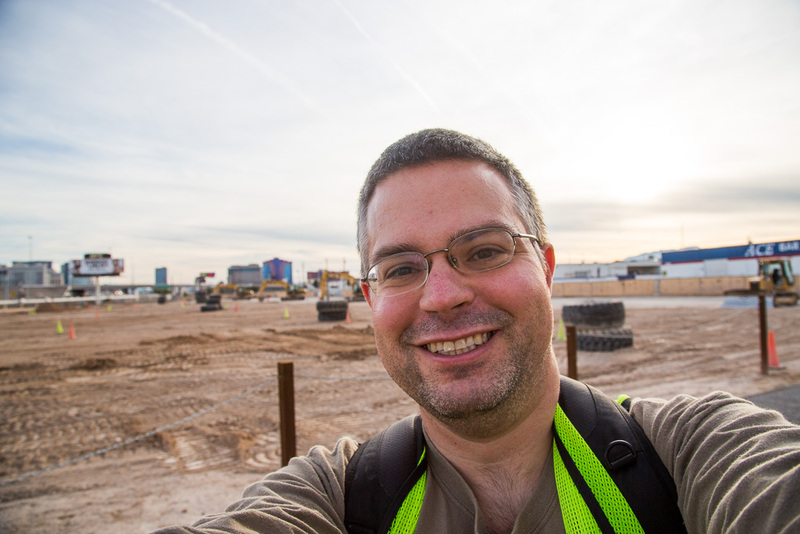 The team at Dig It Vegas did a really good job giving me a lot of latitude to have fun inside the equipment. Well worth the time and money spent!